TOP scorer Jacob Thorsell insists Wolverhampton will bounce back quickly from their Belle Vue setback. 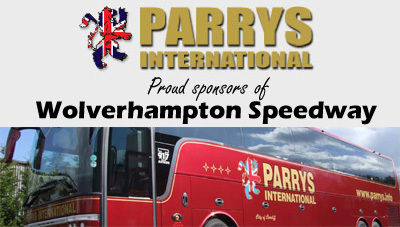 Parrys International Wolves slipped up 56-37 at the new stadium in Manchester with a badly depleted side. And Thorssell, who notched 11-points, says the return fixture at Monmore on Monday could be a classic. "We need to beat them on Monday and I believe we can," said the Swede. "We should be at full strength. If we are then we can beat them at home, but they are a good side and deserved the win. "It was my first time on the new track, it's a great venue but I know next time I go there I will be much better and so will the team. "I'm staying in England over the weekend and we are all looking forward to Monday night at Monmore Green." 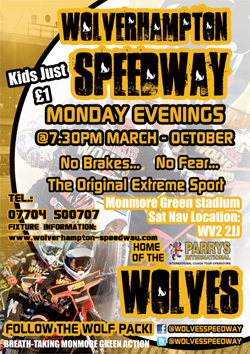 With Lakeside’s home clash against Swindon being called off, a point would have been enough to take the Parrys International Wolves back to the summit, but that will now have to wait until Monday’s return fixture at Monmore Green. 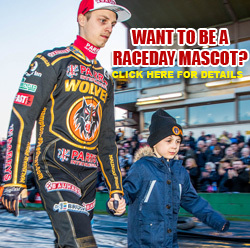 Wolves raced at the National Speedway Stadium without both of their second-strings – Peter Karlsson due to injury, and the in-form Sam Masters due to a Premier League fixture clash. 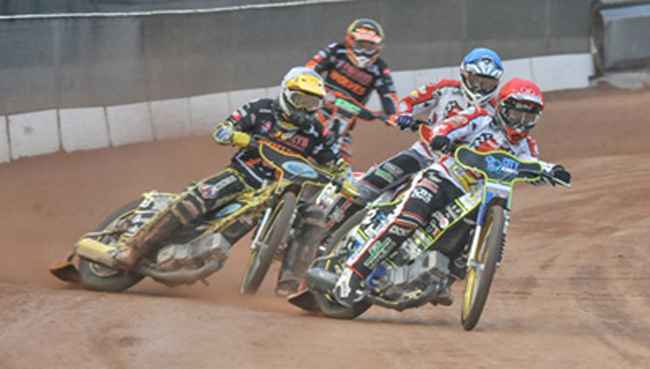 But the frustration came when Masters’ match for Edinburgh was postponed on Friday morning, meaning the Australian was present in Manchester but was not able to ride with Wolves having already declared Kenneth Hansen to guest for Karlsson along with the rider-replacement facility. Race wins were thin on the ground for the visitors, who were disappointingly out-gunned at reserve with unheralded home No.7 Joe Jacobs collecting two shock 5-1s alongside Scott Nicholls. In fact, Aces riders took the flag in each of the first eight races, the most notable of which came in Heat 6 when Steve Worrall held off intense pressure from Joonas Kylmakorpi and Freddie Lindgren after Nicholls had been disqualified. Jacob Thorssell finally put a win on the board for Wolves with a smart move to get the better of Max Fricke in Heat 9, but by then they were coming from 14 points down. 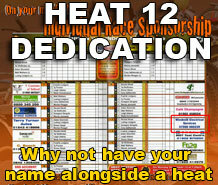 A tactical ride for Lindgren in Heat 10 also proved successful as the Swede banked six points with a last-ditch pass on Craig Cook, and mechanical trouble for Matej Zagar kept the visitors in contention for a league point – with the Slovenian’s meagre four-point return underlining the strength of this Aces team. Wolves’ hopes took a crushing blow in Heat 12 as Jacobs and Richie Worrall combined for a big 5-1, and the visitors knew it wasn’t their night when Lindgren was handicapped 15-metres in the next after being deemed to have exceeded the time allowance. Thorssell grabbed his second win in Heat 14 but that was a minor consolation as Cook and the impressive Fricke completed an emphatic victory with a 5-1 in the last. BELLE VUE 56: Max Fricke 14, Craig Cook 11+1, Joe Jacobs 7+2, Steve Worrall 7+1, Scott Nicholls 7+1, Richie Worrall 6+1, Matej Zagar 4. WOLVERHAMPTON 37: Jacob Thorssell 11, Fredrik Lindgren 10, Joonas Kylmakorpi 6+2, Kenneth Hansen 5+1, Ashley Morris 3, Kyle Howarth 2+1, Sam Masters r/r.